What different types of skills are there? A skill is the ability to do something. We are not born with skills – we develop them through experiences in life and work. Skills can be simple, such as making toast, or more complex, such as playing a musical instrument. In the workplace you will use a combination of different skills. 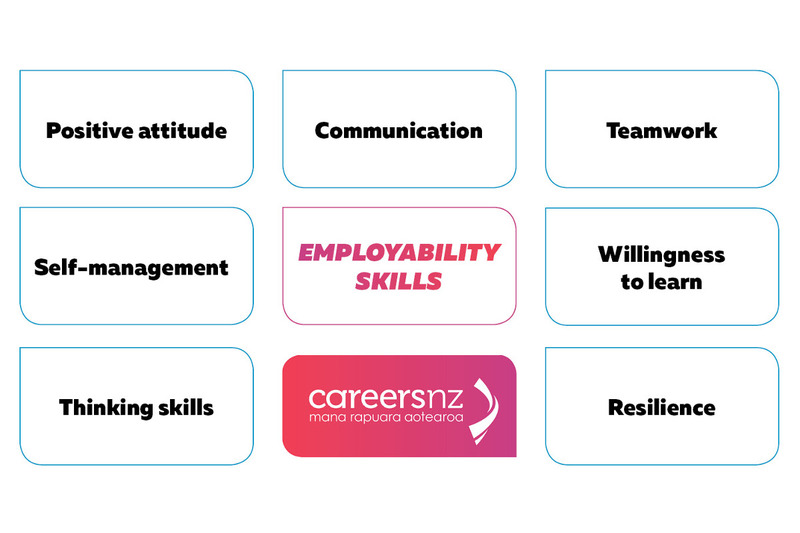 Employability skills are the skills, qualities and attitudes that employers say are essential for their workplace. A transferable skill is one that can be used in a variety of situations or jobs - you transfer them from one job to another. For example, being able to use a drill is a job-specific skill – but one that involves hand-eye co-ordination, which is a transferable skill. accuracy and/or an eye for detail. Specialist skills usually relate to a specific job or group of jobs. ability to use specific computer programs and technical equipment. write your CV if you are applying for a job.